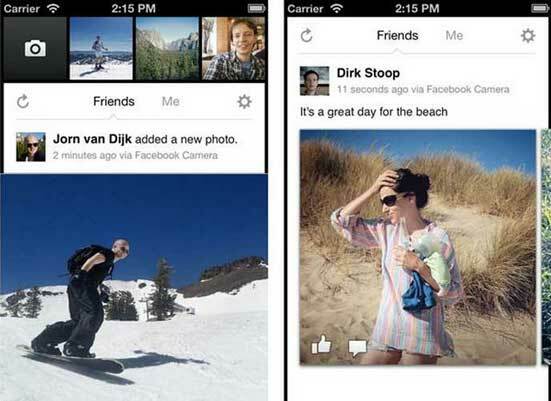 Have you downloaded the new Facebook Camera iPhone app? Now you can quickly share multiple photos all at once instead of having to post one at a time. We know that Facebook is serious about photos. Heck, it dropped a cool $1 billion on Instagram, the immensely popular mobile photo-sharing app. What we didn’t know, however, is that Facebook was essentially building its own version of a standalone mobile photo-sharing application, ostensibly to compete with Instagram before it took over the mobile photo-sharing world completely. Posted on May 25, 2012 Author robotchampionCategories defaultTags album, app, app store, billion, camera, download, facebook, friends, instagram, iphone, multiple photos, photo, photo sharing, photos, swipe, uploadLeave a comment on Have you downloaded the new Facebook Camera iPhone app?